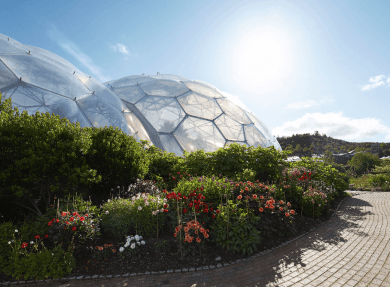 An unforgettable experience in a breathtaking location, the Eden Project is a horticultural spectacle, with over a million plants spread across 35 acres of stunning global gardens situated in the heart of Cornwall. 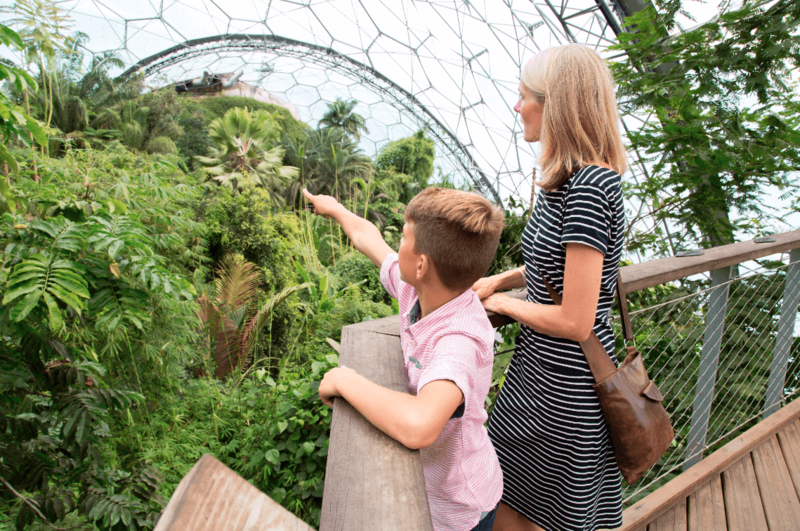 Explore the two vast covered Biomes, housing wild landscapes, crops and stories from the Rainforest and Mediterranean regions: immerse yourself in the steamy heat of the largest rainforest in captivity and marvel at a close-up view of the tree tops from the Canopy Walkway. 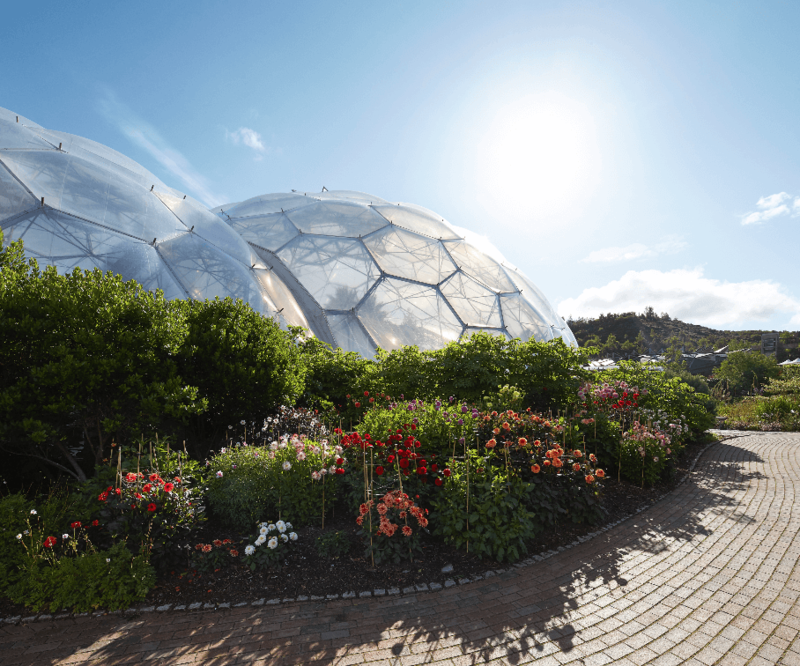 Then take a stroll through the sights and scents of the Mediterranean, where you’ll come across beautiful flower displays and ripening seasonal crops. 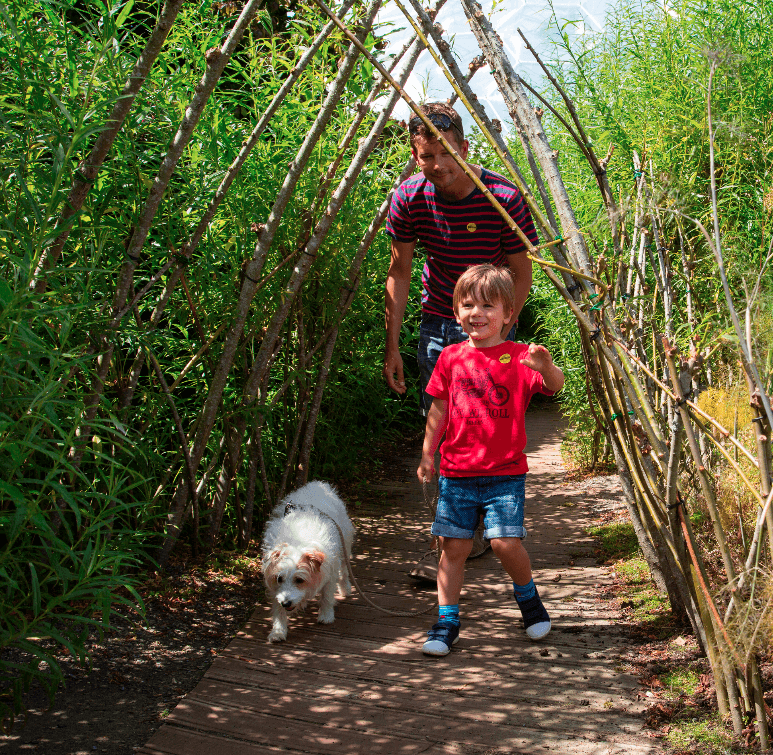 Continue your journey in the Outdoor Garden for all seasons, home to some of the world’s oldest and rarest plants. 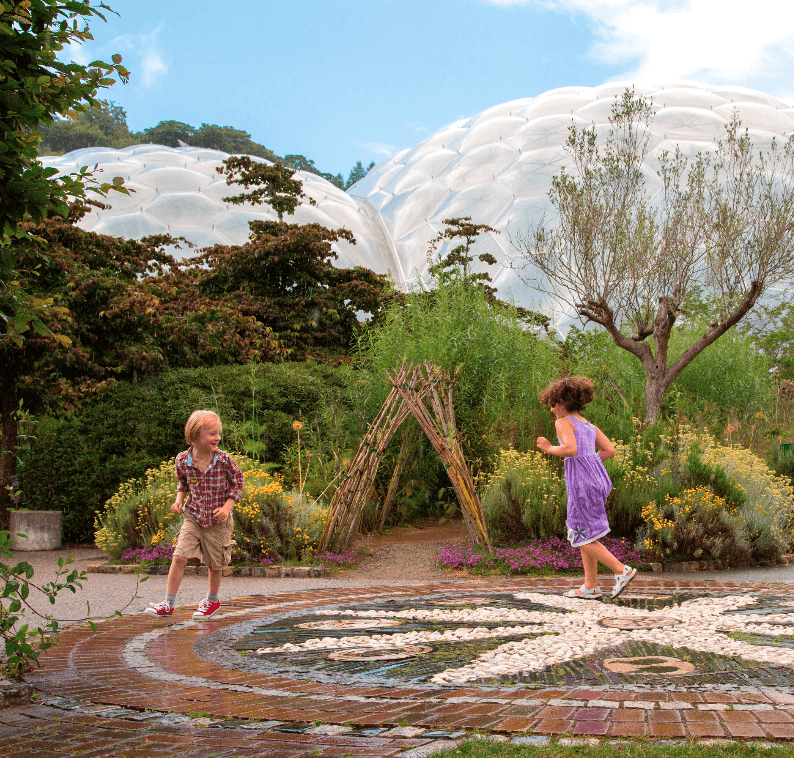 Wander through the gardens on a fresh spring day and enjoy drifts of sweetly scented Narcissus and a multitude of miniature irises, relishing the damp, sunny conditions of early spring – they often appear earlier in Cornwall than in other parts of the country. 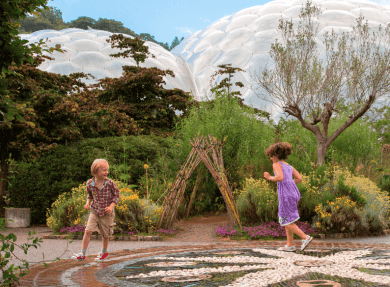 A host of British wildflowers follow and vie for your attention - bluebells, primroses and violets, along with blossoming fruit trees and shrubs. 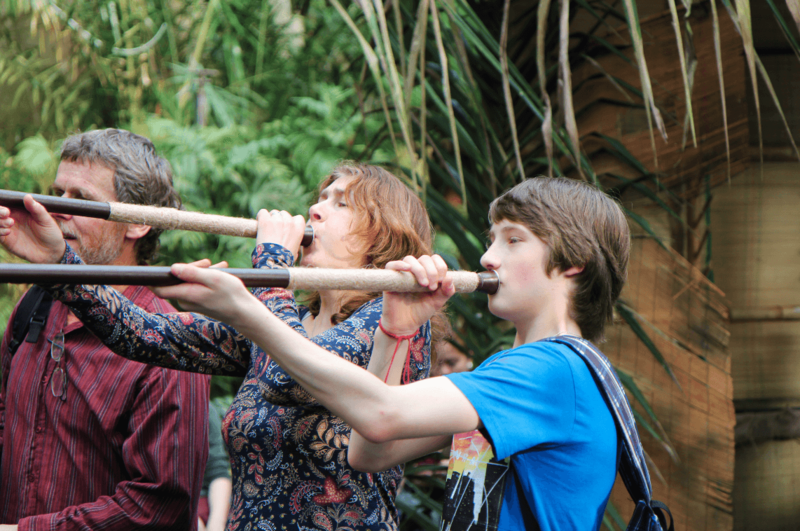 You’ll discover a packed programme of family friendly events at Eden in 2016, including a dinosaur invasion during the summer holidays (free with admission) and the Festival of Light and Sound at Christmas. 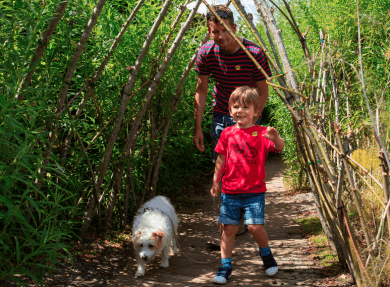 There are also themed-trails across the site and a whole range of imaginative play areas for kids to explore, including a wooden climbing frame called The Nest, a spiral garden, hideaways, stepping-stones, sand pits, willow tunnels and cut-throughs designed for little feet. The exhibits which bring stories to life – watch a live concert or theatre performance, and enjoy the tastes of the food growing around you in one of the cafes. 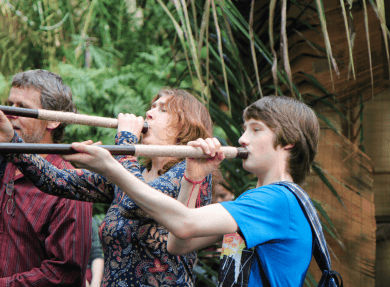 A visit to Hangloose (check hanglooseadventure.com for opening times, additional charge applies). 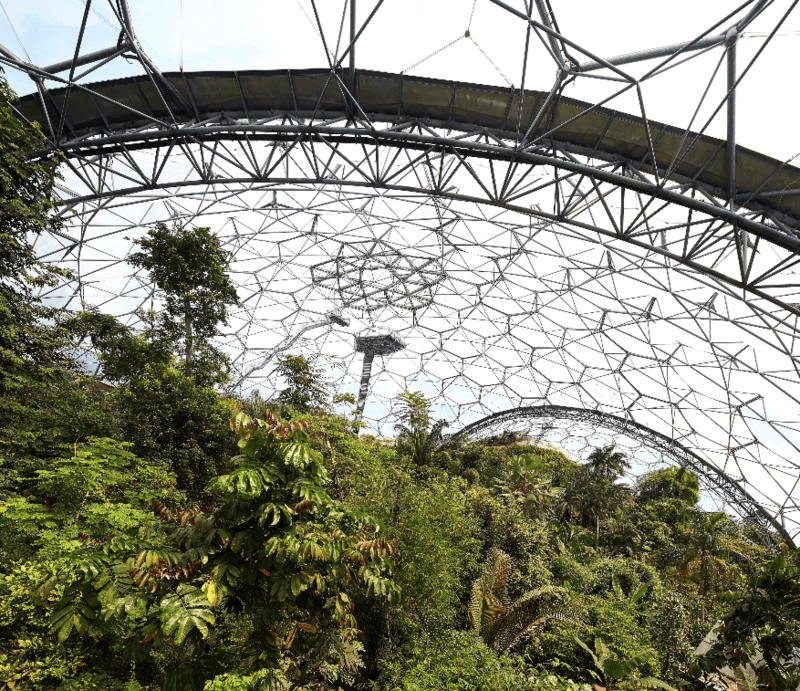 Dare to try the 10 metre Airbag Drop or the Quick Jump, a 20 metre free fall simulator. 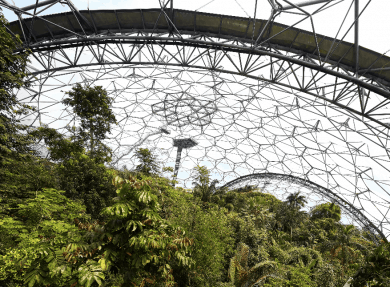 Soar over the Biomes on SkyWire, England’s longest and fastest zip wire – you’ll see Eden from a completely different perspective! And get extreme thrills on Gravity: The Giant Swing, suspended 19 metres in the air.